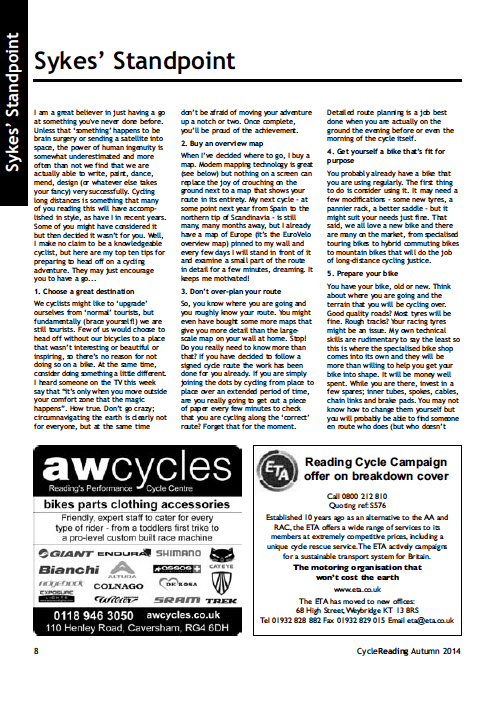 My second column for the Reading Cycle Campaign (on the subject of cycle touring) has just been published. You can read the newsletter in which it appeared by following this link. The Reading Cycle Campaign do a very good job in the Thames Valley’s largest town raising the profile of cycling and keeping the local councils on their toes. The campaign’s website is here, the Facebook page here and Twitter account here! 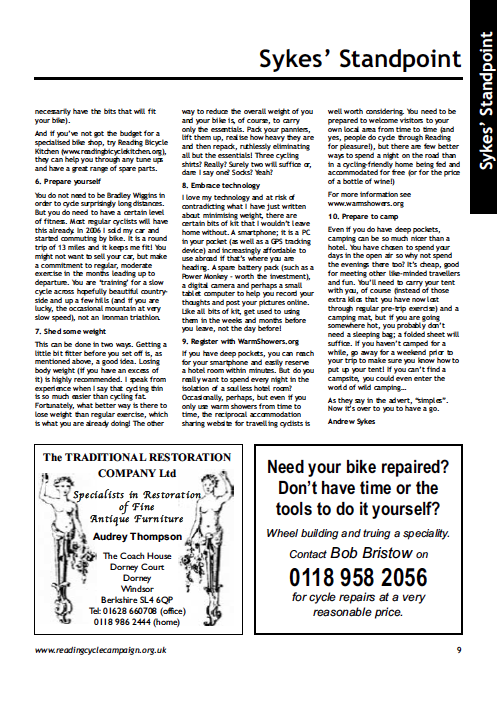 If you are a cyclist in or around Reading, I would urge you to join. It’s very cheap to do so!